This use case shows you how to use the Request naming API to create a new request naming rule. 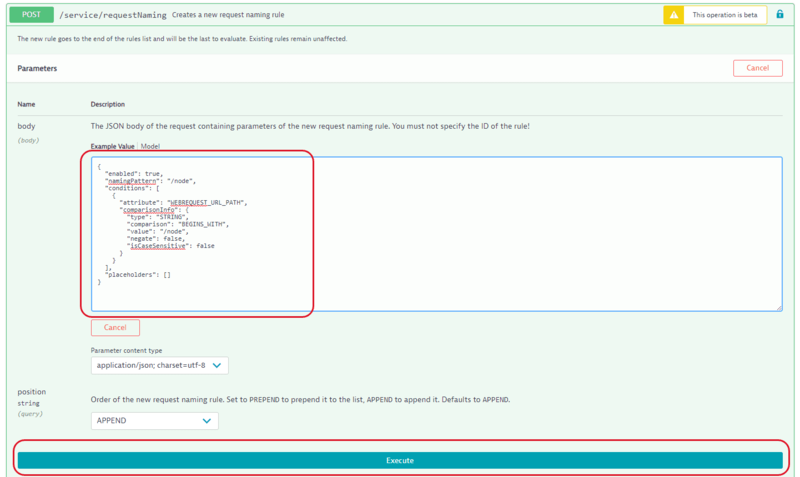 Service request naming enables you to consolidate or refine requests across multiple services. 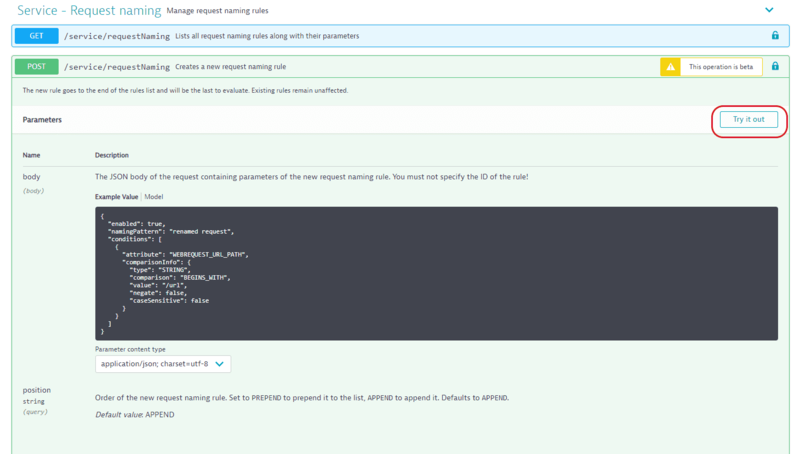 Additionally, you can synchronize these rules across multiple Dynatrace environments. Let&apos;s assume we have two requests from Drupal (the open-source CMS) named /node/1 and /node/1/edit. The last parts of both names (/1 and /1/edit) don&apos;t carry any valuable information. We can remove those parts and consolidate the two separate requests into one named /node. To achieve this, we need a request naming rule to rename every request where the URL begins with /node into simply /node, thereby consolidating them. conditions—defines which requests will be renamed. You can find descriptions of other fields in the Parameters expand of the POST a new request naming rule section. Now let&apos;s submit this configuration in an API call. How you execute REST calls is up to you—you can use any REST client or you can write a script like the one provided below. You can also use the Dynatrace API explorer to familiarize yourself with endpoints and execute all the required requests. Generate a new access token for the Dynatrace API. Be sure to assign Read configuration and Write configuration permissions to it. Execute the POST a new request naming rule request with the token you created in the first step and the JSON configuration of the request naming rule from an example above as a payload. 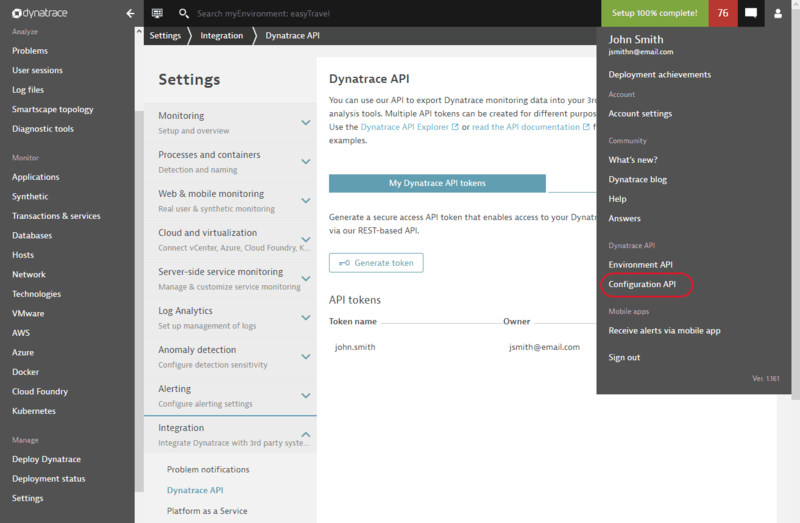 In the upper-right corner, open the User menu and select Dynatrace API > Configuration API. In the API explorer, click Authorize. The Available authorizations dialog appears. Paste your token into the ReadConfigToken and WriteConfigToken fields and click Authorize. Expand the POST /service/requestNaming/ request and click Try it out. Paste the JSON configuration of the request naming rule (see above) into the body field and click Execute. A successful request returns the 201 code and a short representation of the request naming rule.